Terry “Moe” Morrison, age 60 of Helena, Montana. “If you’re above ground, it’s a good day.” One of Terry’s many sayings! On the morning of April 14, 2019, Linda’s loving husband went to be with the Lord, his dad, and his lifelong friend, Chuck. Terry spent his childhood fishing and hunting with his dad until the day his dad passed. He then took everything he learned from his dad and passed it down to his own children. 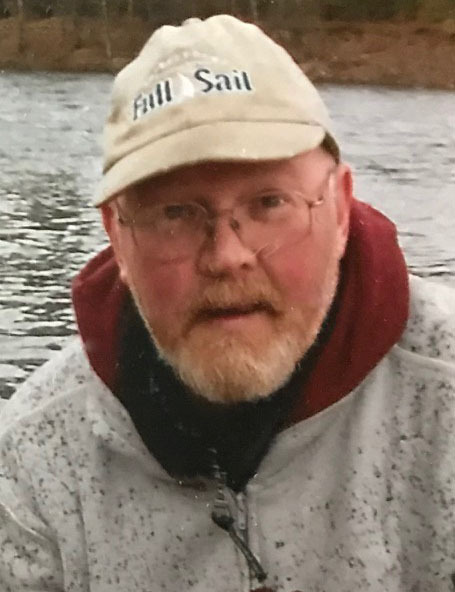 Once Terry and Linda had their own children, he spent all his free time making memories: coaching the boys’ sports, fishing on creeks around Montana and the Missouri River, hunting, pitching the baseball to the boys, and letting Nick teach him about bass fishing. He also enjoyed taking his kids and spending time in Lincoln with his friend Spud where they ate chili, fished, hunted, and cut firewood. Terry bowled on Monday nights for years, played on the men’s softball league, and golfed. Terry LOVED his Denver Broncos, Montana Griz, and the Yankees. He could tell you about a fishing trip, or a game from 30 years ago like it was just yesterday. Terry made everything an event; his happy-go-lucky personality made even going to the dump to throw away all the gift wrapping from Christmas fun! As Terry got older, he enjoyed going to Idaho steelhead fishing, going hunting and spending the week at Leslie and Jared’s in Lewistown, taking trips to wine country in California with his close friends and playing cards in his garage with his boys, and his brother Rod, he would say, “It is time to shuffle up and deal.” In the last few years Terry got to travel the country with TJ and go see his Yankees. Terry also loved listening to The Beatles and his brother Rod play his guitar and sing the classics! This last summer, Terry loved having Chris, Brandy and the three boys stay with him enjoying late night wrestling matches, gardening, and mowing the lawn. Terry’s greatest joy became loving and playing with his eight grandchildren. Terry shared many memories with his grandchildren, such as watching B and Jack play sports, hunting with Nathan and Alex, digging up potatoes in the garden with Bentley, Camden, Brody, B and Jack, taking B to Capital High basketball games, watching Nathan, Alex, and Macy show pigs at the fair, giving Bentley, Brody, and Camden homemade deer jerky and a pop in the garage, taking all of them fishing, and grandpa always had time to rock every one of them in his chair. Grandpa Terry was the kindest, most generous person there could ever be, and his life lessons and memories will always be in our hearts. Linda and Terry shared many happy times taking trips into town to get a coffee, going out for breakfast, and taking their three dogs to town for a treat. The last few months that they were finally empty-nesters after 40 years, they spent many evenings just rocking in their chairs in the living room truly enjoying each other’s company. Terry always said, “Show love to your wife every day, not just on Valentine’s Day, make her feel special every day,” and that is what he did. Terry was the most loving and kind husband. Linda will miss him and his love every dayon! A celebration of Terry’s life will be held on Friday April 19th at 10:00 A.M. at Anderson Stevenson Wilke Funeral Home, with a reception to follow immediately. For those interested, there will be a gathering to celebrate Terry’s life at the Valley Hub on North Montana at noon; potluck contributions for those that want. Terry’s children wish any memorials be sent to Linda. Terry will missed by all. 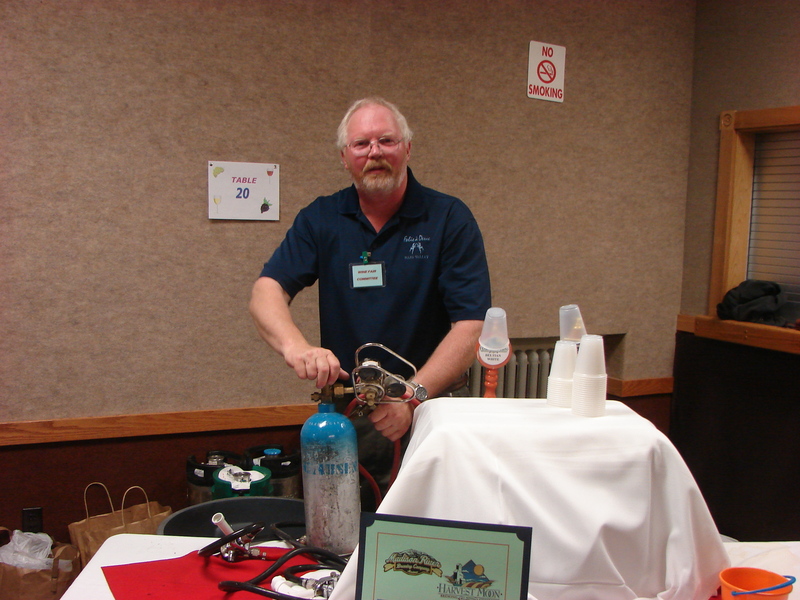 He was a wonderful friend and supporter to the Montana Military Museum and our Annual Wine Fair. I am very sad! May he be in God’s presence. Linda, Chris, and Morrison Family, I am traveling out of the Country and was devastated to hear of Mo’s passing. I need not tell you how wonderful he was, but honestly, he truly was one of the nicest people I’ve ever known. Linda, he was always proud to bring salsa and chips to Island Liquor to treat us. He loved making salsa with you. I am so sorry for your tremendous loss, and I am sorry to miss the celebration of his life. Please know I am sending prayers at this difficult time. Linda and the morrison family. Rose and i were saddened with the passing of mo. We both have fond memories and many happy laughs together.mo will be always in our thoughts and hearts. Linda and family. I am so sorry. Moe was not only my co-worker he was my friend and brother. Working, fishing, bowling, camping and hunting was always so much fun with him. I was blessed by having Moe and your family in my life. He will always be in my heart. Our thoughts and prayers are with you. Dear Dorothy, Rodney, Linda and Families. I am so very sorry to hear about Terry. Every time I saw him, he was always so happy and fun to be around. He was much too young to leave this world. I pray the Lord will wrap His loving arms around you and comfort your hearts with happy memories and grant you the peace only He can provide. God bless you all. Linda, TJ, Chris, Jill, Leslie, Nick and your Families. Cindy and I are so saddened to hear about Terry. Our deepest, deepest condolences. I never, ever ran into Terry where he wasn’t his jovial self and was always happy to share some BS time. I will always remember him kicked back at our annual summer party at our house enjoying a good cocktail, listening to the music and enjoying the night. The world has lost a good one. Memories last forever. If there is ANYTHING Cindy and I can do to help please do not hesitate to get a hold of us. Linda and family, Kevin Brady Tara and I are so sad to hear of Terry’s passing. We have so many good memories with him. What a great guy he was! He be missed by so many. God bless you all. I have great memories of Mo in the 25 years I spent with Albertsons in Helena. Stand up guy could tell you what he could do and what he couldn’t do. I enjoyed his honesty and integrity . Rare in the world we live in. Dorothy, Linda, Rod & Kim, and all of Moe’s family….so sad to hear of your loss. Terry was such a great guy, always had a smile, laugh, good things to say and always celebrating life with his “perm” of blonde curly hair in perfect place! I enjoyed working with Moe years ago, but always felt like he was like an older brother. He will be missed by many. May your great memories help always. Love to you all! R.I.P. Doc, I was fortunate enough to hear about you for years from the Weivoda clan, and then to meet your kind soul last year at Wally’s memorial. Our thoughts and best wishes to your family. And good fishing with Chuck. God Speed. Linda, TJ, Chris, and all the rest of the Morrison family – Our hearts ache for you at this shocking and awesome loss. The world has lost one of the good ones. Our prayers for God’s comfort, peace – and supernatural strength are with you. The love in your family has been and will continue to be so important in our lives. Linda, your Mom, Myrtle was instrumental in helping us raise our boys, and in nurturing our deep faith in Christ. We’ve always looked to your family as an example of God’s idea of love. Thank you for that. We continue to pray for your peace. Much love, Dee Dee and Gary. I first met Moe when my cousin Brandy, married Chris. What a wonderful day that was! After that time whenever he saw me he always said hello and we would discuss his grandchildren or Griz football, usually over a beer, time permitting. He spoke fondly of his grandchildren with a loving smile. He will be missed, I’m certain by his family first the plethora of friends and acquaintances he made during his short time on this earth. Heavenly father blesses this kind soul. Go in peace Moe. My thoughts and prayers are with the family. I am so sorry for your loss. Terry (Mo) was a great human being and will be truly missed by many. I have many fond memories of ‘The Wine Guy’ and the ‘Neon Guy’ RIP my friend. I had the privilege of teaching every child in the Morrison family (even the grandchildren). I can say without a doubt how loved Terry is by each of them. They always commented on something he said with pride and love. He was a strong man who will be missed by everyone in the Helena community. I have so many fond memories of the family! I want them to know what a wonderful man their husband and dad is. Thank you for sharing him with me!!! We are deeply sorry to hear about the death of “Moe”, this great man will remain in our hearts forever!! We were so saddened to hear of your loss. Terry was such a friendly fellow…enjoyed seeing him has he was touring the stores here in Helena. Nick played ball for Robert and you guys were alway there to watch. He will be missed by all in Helena. Thoughts and Prayers go out to the Morrison Family. “Moe” was the light of the party. A great person, kind heart, one of the nicest person, friend that anyone can have. “Moe” had so many saying, “Moe Like it”, “Moelicious, we would gamble until the wee hours of the night and the “Moe” saying would continue to flow. He was an ambassador to The Wine Industry and will truly be missed. I didn’t know Mo that well. But, what I did know was that he was a breath of fresh air at any retail wine reset. While everyone else was grumbling about being there, Mo made it bearable, even funny at times – as funny as resets get. He was a positive force – seeing it through with duster in pocket. I can only imagine the impact he had on his family and friends – may peace be with you. Our sincere condolences to the Morrison family at the loss of Terry. He was our go to guy for wine delivery at our store. Always positive and cheerful when we saw him and quite frequently mentioned his happy times away with his family. We will keep all of you in our thoughts and prayers during this difficult time. Gods peace and blessings be with you. Linda and family , I am so sorry for your loss. I loved your family. Dugan Lyons and I Always enjoyed spending time with you . Thinking of u during this rough time. Moe and I were competitors back in the day when I worked for Zekes and he with Clausen. Always enjoyed our visits. Always considered him A Friend. He will be missed. Godspeed and God bless The Morrison Family. My thoughts and prayers are with you all. I had a nice chat with Terry at Suzie’s service and it was good to see him since leaving Helena. God be with you all during this difficult time. Linda and family, I was shocked and so sad to read about the loss of Terry. So many high school memories ! It was always fun to see Terry around town, wave and have a quick chat in passing! You two were meant to be together! Terry knew exactly how to live and enjoy life each day. What a special guy. My sister Kristy has such fond high school memories of you all having so much fun together! Peace and prayers for you and your wonderful family . Linda and family, Terry was always a smiling greeting whenever and where ever we ran across him. He loved to keep us updated on all his kids and each new grand baby. He was so proud of his family. We will miss his happiness. My heart aches for you all during this time of terrible loss. I will be keeping you all in my prayers that God with comfort your hearts and minds. May you cherish your good memories and keep them close in your heart. Sending my love and condolences. I was Terry’s high school basketball coach in Polson. He was a wonderful, thoughtful young man who grew into a a super dad and granddad. I was fortunate to have known Terry and even though I saw him infrequently here in Helena I enjoyed talking with him when I did. He was also an outstanding basketball player and teammate. Just heard this sad, sad news. My heart goes out to all of you. I have tears running down my face as I write this. Terry was the kindest and most giving soul I ever knew. I’m so glad that we ran into each other and had a nice chat a few months back. I am so sorry to hear of Terry’s passing. Sending hugs and thoughts your way. Terry was a kind and funny man. Linda, TJ, and family Penny and I wish to share our condolence for Terry’s passing. He was such a great guy and a fine example for all of us to learn from about how to keep as smile on our face and focus on the important things in life—like family and fishing. Our best to you both and your family. I just saw this . My condolences, Linda, TJ and Terry’s entire family . What a great guy and family. So sorry he left us so soon. So very sorry to hear Moe is gone! I played softball with him for many years and he was such a great guy to be around on and off the field.